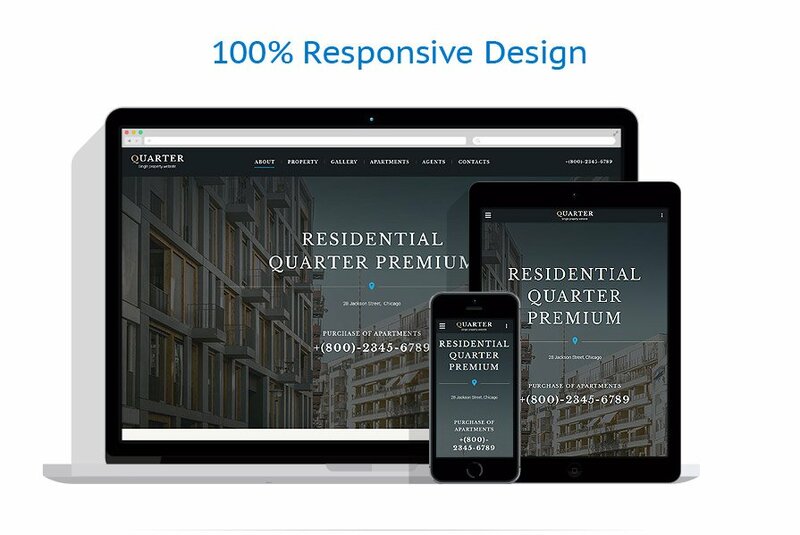 With this template for real estate web landing pages, promoting your real estate services becomes so much easier. The page builder lets you control the layout of your various web page elements, while the clean design is enhanced by the Google web fonts. This simple and modern landing page template will be a great help in promoting your services. Your site's visitors will love clean and crispy design of this theme. Create your perfect landing page using the integrated drag and drop builder, multiple navigation types and dozens of features and elements included into the template package.